In past seasons, UBC’s Jasmin Dhanda has reigned over Canada West with her goal-scoring prowess. From 2015 to 2017, she featured in the top three strikers in the division, with few teammates able to catch even her shadow other than Aman Shergill last year. But, with both players’ graduation last season, there has been a new name challenging for leading goal scorer in Canada West this year: Danielle Steer. Now in her second season with the Thunderbirds, Steer put up six goals and five assists through September, already surpassing her four goals and six assists in her entire rookie season in 2017. She is currently tied for most goals on the team alongside rookie Michelle Jang, though Jang has a two-game upper hand with Steer sitting out the September 28 and 30 games due to concussion. Her stats are impressive, but she said that she is following in the footsteps of two UBC greats. With the new, pivotal role also comes a new level of confidence both in taking more of a leadership position up front for the ’Birds and in her own play — not to mention a year’s worth of experience in the league last year, which helped her find her varsity footing. “I think what got me was the nerves before games and just being a varsity athlete, being at a university and playing against girls who are like 22 years old and I just felt so small,” she said, noting that after starting several games last year she realized she could compete against Canada’s best. Now, Steer looks to lead the offensive force, something she does by being vocal on the pitch and through her own play. “On the field, I do try and be not just loud but I work hard as well and lead by example,” she said. With the season turnover, the women’s soccer team has also benefited from newfound creativity and leadership through positions. Last year, as Steer explained, tactics tended to revolve around finding and supporting Dhanda up front. Now, more talent is coming through and shining for the ’Birds. Steer pointed to central defender Emma Kallner, central midfielders Rachel Jones and Rachel Kordysz, and forward Margaret Hadley as having stepped up in leadership roles this year. One just has to look at the stats to see how spread out the goal-scoring and assists are compared to last year. Ten players have scored so far this year for the team, compared to twelve throughout the whole season last year. What’s more, the majority of the roster has featured in seven or more games, proving that head coach Jesse Symons is considering more options in terms of formation. For Steer, that translates into more offensive options to get the ball in the net. Currently, Steer has scored on plays from Margaret Hadley, Alyssa Hunt, Emma Cunningham and Amelia Crawford, and she assisted for several players, too. 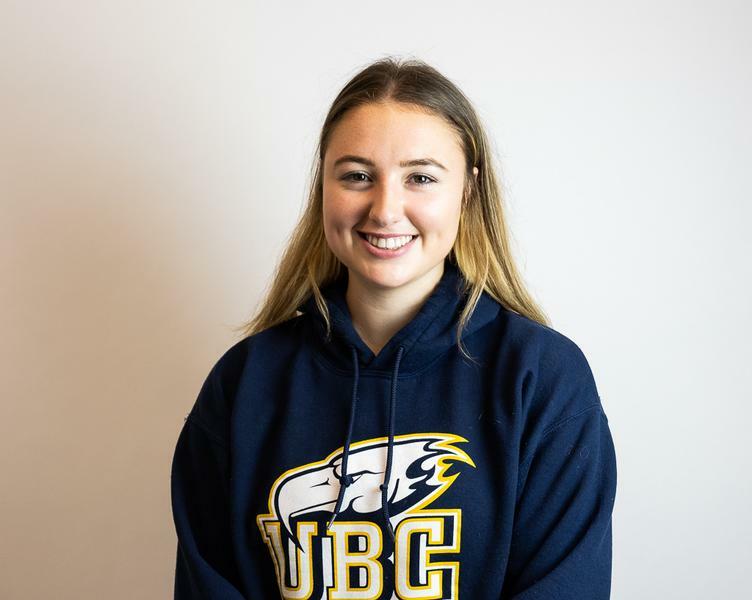 She also has the unique advantage of taking her track experience onto the field, having originally joined the Thunderbirds as a dual sport athlete in soccer and track with a focus on the 800-metre. Why the shift to a sole focus on soccer? “I thought that was something I would excel in more and wanted to pursue that going forward,” she explained. So far, the one-sport commitment seems to be working for the striker. Going forward, she hopes to challenge for Canada West and U Sports scoring leader this season, while also steering her team to U Sports nationals. 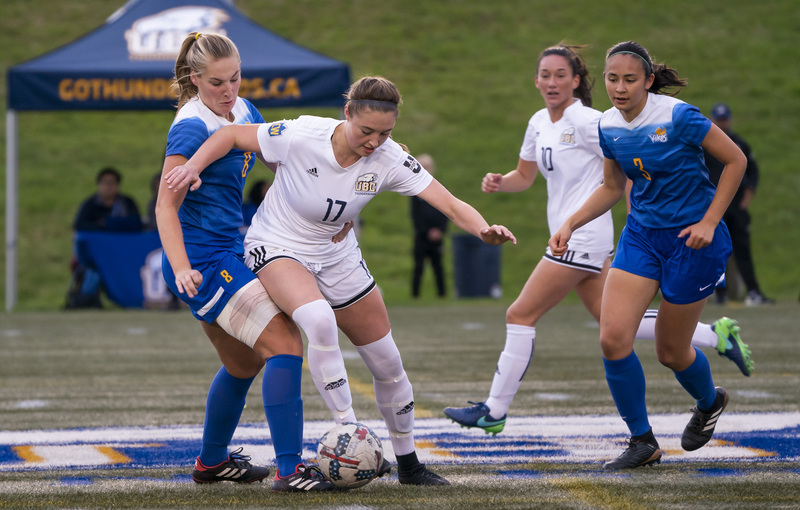 Currently, the ’Birds are facing a major roadblock in the form of the reigning Canada West champions, the Trinity Western Spartans, who hold a 9-1 record in Canada West compared to UBC’s 8-2. The team has four regular season games to go before playoffs including a match up against the Spartans, so there’s time to tune up for the showdown. And, with the likes of Steer in the roster, this might just be the year to take back the Canada West crown — or more.